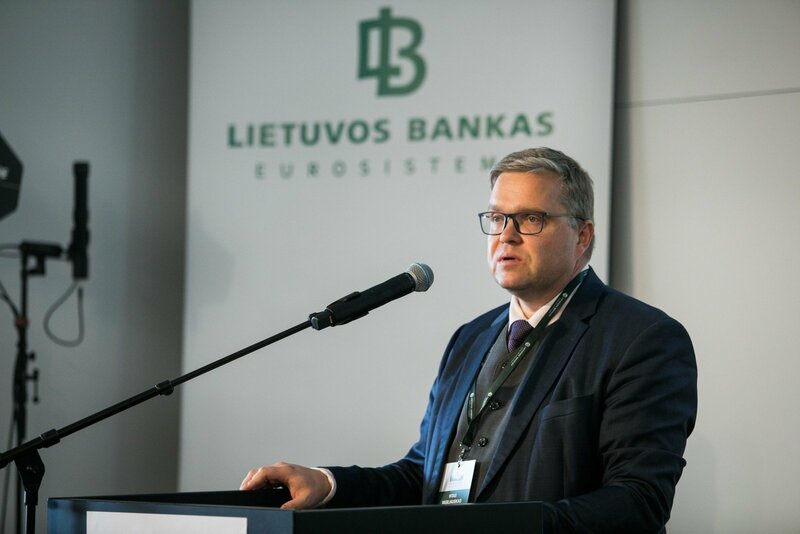 The recent money laundering story involving banks operating in the Baltic states has a negative impact on the reputation of the whole region's banking sector, says Vitas Vasiliauskas, board chairman of the Bank of Lithuania. "The Baltic states are considered a single market. Therefore, we cannot ignore what is happening to the north of the Lithuanian border. 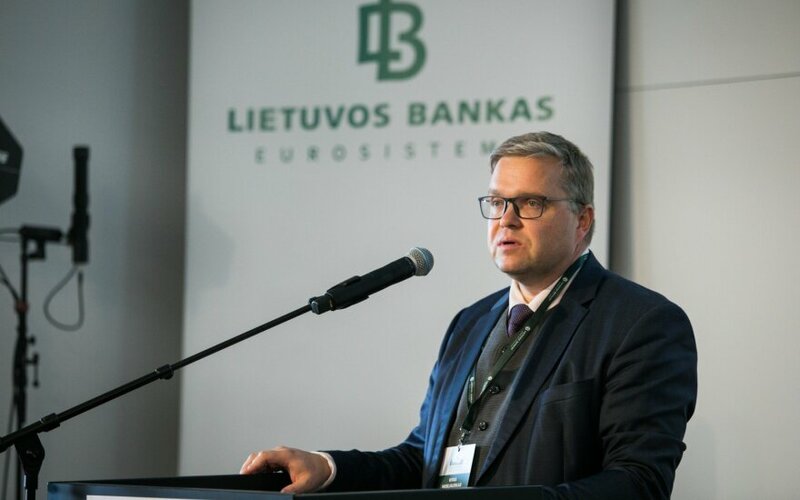 Sometimes, especially when speaking with supervisors from over the Atlantic, first, we have to explain what the Balkans and the Baltic states are, and then to explain the differences among Lithuania, Latvia and Estonia," the central banker said in a interview with BNS Lithuania. - What is your opinion about US businessman Bill Browder's latest statements that the Norwegian DNB bank allegedly helped to launder 533,000 US dollars from Russia in 2007-2010 via Lithuania's Ukio Bankas? - We are perfectly aware of the fact that a major business part of the Snoras and Ukio Bankas banks, which had their banking licenses withdrawn, involved servicing non-residents. Now the non-residential deposit portfolio in Lithuania stands at 3 percent, and deposits from the east make around one percent. So the picture is much more different from our neighbors. - Danske Bank is currently engulfed in a money laundering scandal after its failure to ensure proper control of its activity in Estonia. Could this story affect the bank's decision to exit the Baltic states? - It's hard to tell. Probably, the Danske Bank's main bank could elaborate on that but it could have been one of the factors. These are banks' internal decisions. Danske Bank declared its wish to focus on its home market in the Scandinavian countries, especially Denmark. - Danske Bank first mentioned its withdrawal from the Baltic states two or three years ago. Does it mean the bank felt the forthcoming scope of problems back then? - I would like refrain from speculations. In the context of our supervisory actions, we looked into money laundering prevention risks and shared this information with Denmark's competent supervision institutions. I really wouldn't like to speculate. - This money laundering story, as well as corruption suspicions against Ilmars Rinkevics, head of the Bank of Latvia, probably cast a shadow on the whole Baltic states? - I wouldn't want to comment on that separate case (of Rinkevics – BNS Lithuania), as it's outside the competence of central banking. There's an ongoing investigation and we'll see what the answers will be. But all these actions affect the reputation of the Baltic states' banking sector one way or the other. (...) We went to the United States in June and visited all supervision institutions, including the Treasury department, the Federal Reserve. We are trying to explain the Lithuanian situation in terms of the non-resident business. I would pay attention to the fact that our banking system, differently from that of Latvia and Estonia, still has access to the US dollar correspondence banking. It shows that a certain difference among the Baltic states does exist. - These stories did not prevent US private equity fund management company Blackstone from investing into the Luminor bank? What changes this investment might bring into the Baltic states' banking market? - We can potentially expect an increase in competition but it will depend on their appetite. Blackstone's financial capacity is beyond doubt. These are people who know what they are doing. But Luminor is still working with six systems in the Baltic states, so bringing internal processes in order will be their challenge No. 1. But potentially, I believe, we can speak about really three equal competitors in the region. - We have an American financial investor in Latvia's Citadele bank. Can the arrival of such investors be considered a tendency, or is it a coincidence? - I don't think it's a coincidence since financial investors of this level do not make coinciding decisions. It's a calculation-based move as the Baltic states' level of private debt has a tendency to grow, the product diversity level as well has potential, the macroeconomic situation, growth also have potential. Just have a look at the banking sector's returns in the Baltic and Nordic countries, they obviously differ from the rest of Europe.